Fallon has become quite popular for his musical impressions since he's signed on for late night. 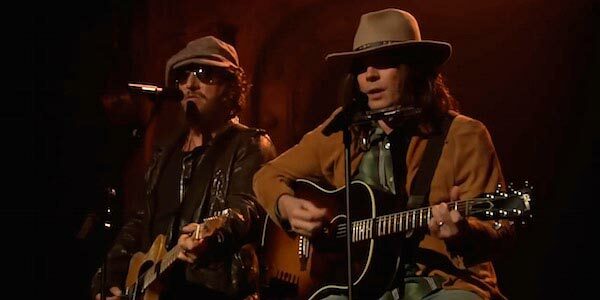 While Fallon has impersonated Neil Young on numerous occasions, last night was a momentous occasion for The Tonight Show With Jimmy Fallon, as it marked the first time the late show host has actually performed with the Canadian-born rocker. Watch the epic performance of Young's “Old Man” below. When The Tonight Show Starring Jimmy Fallon announcer Steve Higgins announced Neil Young to the audience, the singer was greeted with a generous applause and loud cheers. How many of them knew it wasn't exactly Brother Neil, however, is up for debate. And that is not a knock on the audience's observational powers as much as it is a nod at Fallon's amazing embodiment of the singer-songwriter in both his physical and vocal presence. The only true indicator that it is Fallon and not Young comes strictly down to age. Add a few years to the comedian via makeup and we'd likely never know the difference. That hat also helps. 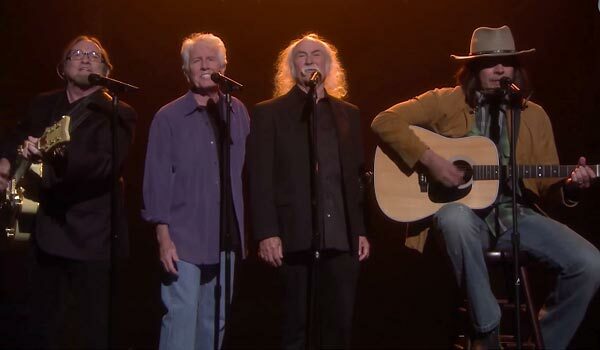 Around the 1:45 mark, the real Neil Young does actually pop onstage, joining Jimmy Fallon for the rest of the song. Except for the two different guitars and the age gap, the two men look nearly identical. The whole performance was really was a great Tonight Show moment, as it was funny, and the two looked so similar and ridiculous sitting next to one another. Fallon didn't really make fun of Young so much as just impersonate him and the pair actually made for a great duet. Young, who later played “Who's Gonna Stand Up?” from his new album Storytone, even complimented Fallon's spot-on impression during the interview portion of the show where he discussed his music service PONO. This isn't the first time Fallon has played the role of Young on The Tonight Show. Back in 2011 he famously embodied the protest singer in a performance of “Whip My Hair” with none other than Bruce Springsteen. Yes, you read that right. The Boss and 'Neil Young' together on one stage. You can catch Neil Young impressions and more when The Tonight Show Starring Jimmy Fallon, airs weeknights at 11:35 EST on NBC.